CNF/Essay by Cecilia Soprano: "When the Seer is the Seen"
Cecilia Soprano lives in Westchester County and makes her living as an organic gardener and artist. Her poems and artwork have been published in La Joie magazine and UC at Santa Barbara among others. Her artwork is often featured on the covers of Inner Directions magazine. 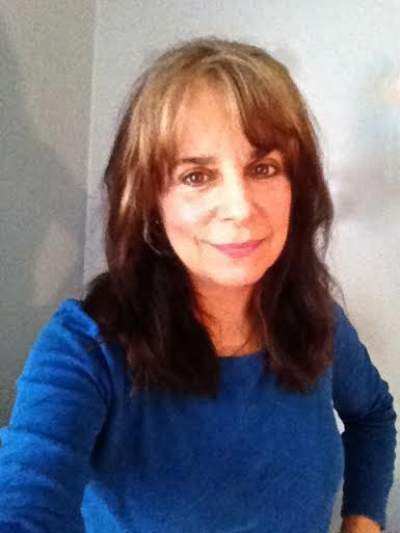 She is a member of the Greenwich Art Society and the Katonah Museum Art Association. She has published three small books and has had several one woman art exhibits. Her love of nature and gardening provides the space for uninterrupted inspiration. Her intention is to make images and words that describe beauty and uplift the human spirit. My art is about making the simple sacred and the ordinary extra-ordinary. Sometimes circumstances come together, and what is perceived as ordinary, becomes strange according to the observer’s viewpoint. At the time I was newly married and had moved into a historic farm house with my second husband North of the city in a safe, quiet neighborhood. It was situated between Golden’s Egg Farm on one side, and a dirt road on the other, with lots of privacy and a garden at the back. On warm nights when I was outside I had often noticed a strange phenomenon: a small amber glow flickering along the dirt road parallel to our house. 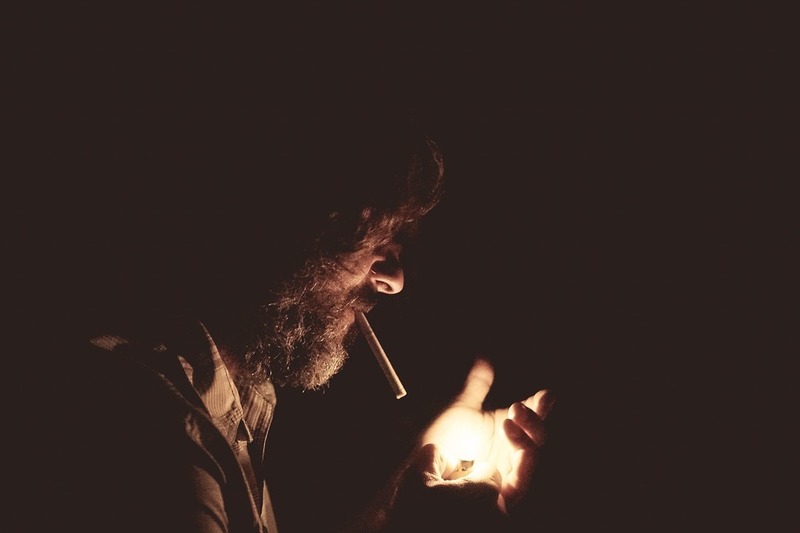 I never saw the person in the dark, but I knew it was a cigarette by the eerie orange light that would brighten at intervals when the cigarette was inhaled. Then the dark shape connected to it, would move silently on. I remarked about it to my husband, and he said it was probably someone in the neighborhood taking an evening stroll. My husband loved his TV and played tennis, I was an artist and enjoyed my alone time. When he was “glued to the tube,” I would happily retreat to my attic "hide away" where I had my studio set up, and my music. I would paint and listen and then spontaneously jump up to dance in the small space. On warm days I threw off most of my clothes boldly dancing in my underwear singing loudly, because no one was within hearing distance to care. One Saturday I found myself standing in line at the hardware store. The guy next to me had something to say about the flashlight I was buying. “Yes, I like to exercise alone too, but more than walking, I often dance after dinner. It's great to “Dance like no one is watching,” I said, quoting the all-too-familiar phrase. Suddenly his face changed, like I had said something off color. “We might be neighbors,” he answered. I smiled and turned to pay for the flashlight, feeling odd as I left the store. He was the dark shape at the other end of the orange-lit cigarette. On his evening walks down the dirt road when he stopped to inhale, he could look up into the small window, to see the half-naked woman leaping about in the attic of the old farmhouse. Additional note: I’m NOT an exhibitionist. I never thought any one could see into our high attic window that faced the garden and the woods at the back of the house.. It was at a 45 degree angle from the road. Only at a particular point in the road looking above the hedge could anyone notice the window. The irony in all of this, is the lesson too. I had seen him, and wondered at his mysterious behavior, and no doubt, he had seen me and done exactly the same thing. Proof that our primary way of relating to one another as human beings is through perceptions and projections. The incident was so short, yet the memory has stayed with me for many years.